To prepare king prawns in fish stew, clean and shell the king prawns keeping a few heads to one side. Finely chop the garlic, chilli pepper and parsley. Heat the oil in a non-stick frying pan and then add the finely chopped garlic, chilli pepper and parley and fry for 2 minutes. 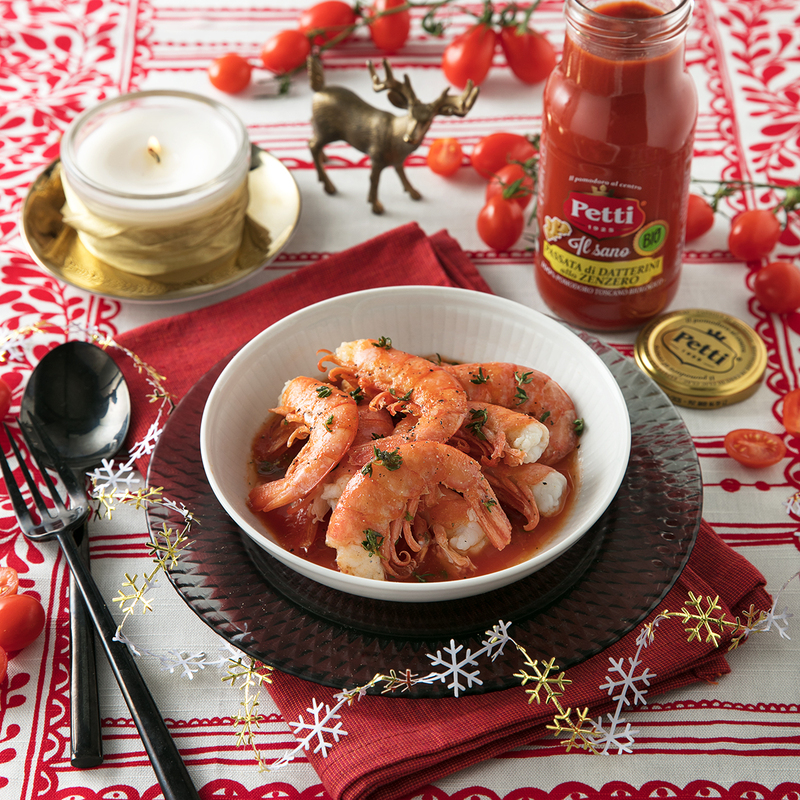 Now add the king prawn heads to the frying pan and simmer with the wine then add the Petti organic organic datterini passata flavoured with ginger – grape tomato purée. Cook the heads for about 2 minutes, squashing them so that the juice comes out before removing them from the frying pan with a metal pincer. Now add the king prawns to the sauce and cook for about 6/7 minutes, adding salt to taste. Serve the king prawns in fish stew in their sauce with a little fresh parsley.